Voting goes from September 17-30 and voting is UNLIMITED! Vote as many times a day, every day that you can! Remember, vote for Clarke Elementary and the money will be used throughout the entire district! 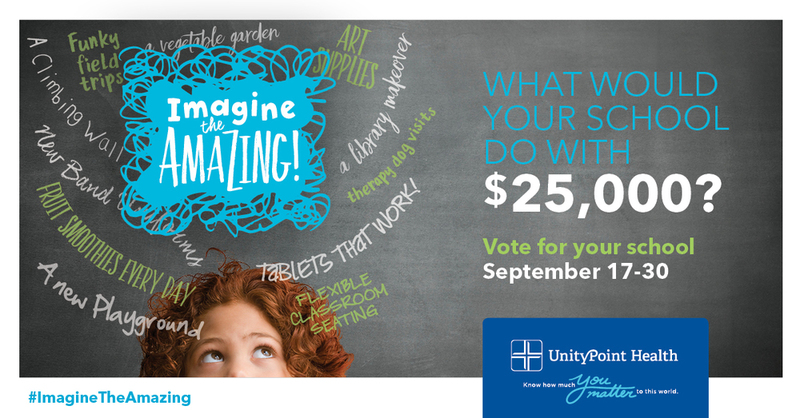 Go to unitypoint.org/imaginetheamazing or CLICK HERE!